All service & repairs are completed in house and on site by factory authorized service technicians with a minimum of 34 years of experience. Whether its S.C.B.A. 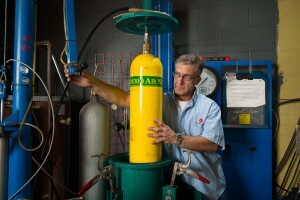 or S.C.U.B.A., We service many things that other dive stores do not have the parts, knowledge & training for. All breathing systems are and should be considered Life Support! We change batteries on computers & depth gauges. We do potted type battery compartments and soldered in battery changes. All gauges and computers are tested in our pressure chamber. We are a fully authorized Department of transportation hydrostatic testing facility. 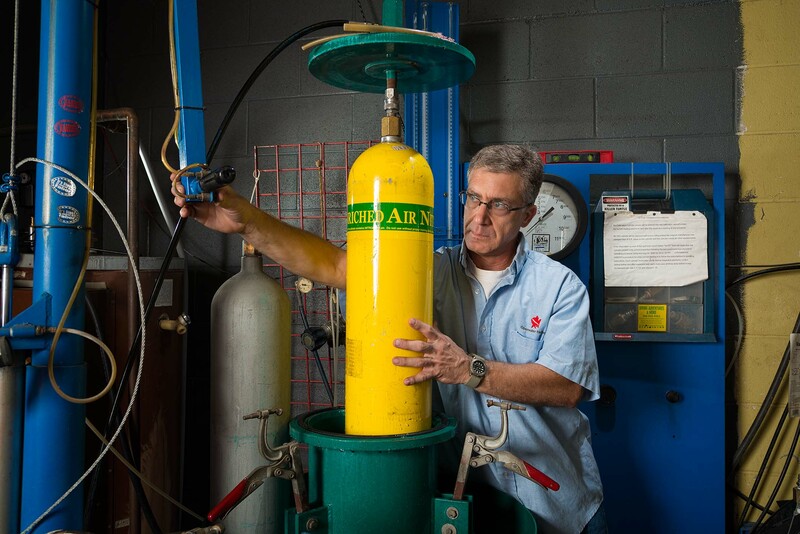 We offer full cylinder re-furbishment; hydrostatic testing, visual plus-Eddy current, bead blasting, tumbling, re galvanizing, re-aluminizing, Oxygen service, safeair service and All Valve service work.